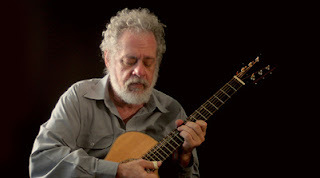 Today, we have the pleasure of hosting a guest post from author and musician, Steven Hancoff, as he shares with us a discussion about Bach and tragedy to transcendence. 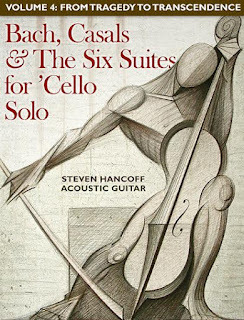 We have also joined the book tour giveaway--so, be sure to enter to win a copy of Bach, Casals and the Six Suites for Cello at the end of this post! We received a copy of Bach, Casals and the Six Suites for Cello as part of the book tour for this four volume e-book. All opinions are our own. Guest Post from Steven Hancoff. Can you tell us something about Bach, the man and the person? Why “from tragedy to transcendence” describes Bach’s work? Yes, I can tell you something about Bach the man. In fact, I did. And that is what the iBook is about. So, I can best suggest read the book. You won’t be sorry. It is anecdotal and picturesque and entertaining and dynamic. It is not academic or dry. Why does “from tragedy to transcendence” describe Bach? His was a life filled with tragedy – eight of the people closest to him, including siblings, parents and children died. A dreary professional life working for drunkard dukes and disapproving, heavy-handed ecclesiastical authorities did not give way to contentment until he was 32 years old when Bach, with his beloved wife Maria Barbara and their four surviving children, took up a position composing secular music for a talented and grateful Prince Leopold in the backwater village of Cöthen. Now he is 35 years old, and he had not yet composed any of the great masterpieces for which he is known. It is now that he proceeds to compose the first of his immortal scores – the Violin Sonatas and Partitas and these miraculous Cello Solos. So, the question for me became what was the process by which he avoided being crushed under the weight of his agony and grief, and instead transformed himself into the great genius of Western music, the man on whose shoulders literally rest the development and articulation of Western harmony. My answer is given in the four volumes – His message is one of pure positivity: one’s life is a precious gift that a person has no hand at all in creating. That is what “gift” means, after all. It is the mission, or the responsibility of each human being to give back, with interest, as it were, to whatever force it is that gave you life. That means that if you are a human being, and you therefore have the gift of life and of self-consciousness and ego identity, then it is your glorious responsibility to deepen that gift, to leave the world a better place than when you entered it by means of developing the gifts you embody. Bach, whose obvious gift was an immense musicality, deepened his identity by giving to humanity heavenly music that was more and more profound. What he did not do was to give in to the temptation to resentfulness and to hate life because of the agony he had to endure. From tragedy to transcendence is the theme that embodies the essence of the life and work of Johann Sebastian Bach. “This man, ‘the miracle of Bach,’ as Pablo Casals once put it, led a life of unfathomable creativity and giftedness on the one hand and neglect and immense tragedy on the other,” says Hancoff. Bach’s life was rife with hardship and tragedy from the start. By the time he was nine years old, he had witnessed the deaths of three siblings and then, within a year, his father and mother also passed away. For all his education and talent, however, his first job was serving as a lackey for a drunkard duke. Subsequently, he spent the next fifteen years in the employ of Weimar’s harshly ascetic Duke Wilhelm Ernst, who cared little for music. When he was twenty-two, he married the love of his live, his distant cousin, Maria Barbara Bach. During the thirteen years they were married, she bore him seven children, three of whom died at birth. In 1717, Prince Leopold of Cöthen offered Bach a position as the musical director for Cöthen. Bach jumped at the chance. The officials of Weimar, however, threw him in jail for “the crime” of daring to resign his present position. Still, Bach was on the verge of a career breakthrough. Three years into his happy and contented tenure in Cothen, Prince Leopold and Bach visited the spa town of Carlsbad for a month of vacationing and music-making. Unfortunately, upon his return Bach learned of the death of his wife and then only when he entered into his home. Imagine the shock, the impact. He never even discovered the cause of death. Yet this tragic setback in Bach’s life was a major turning point because he came to grips with his personal tragedy by unleashing a flood of masterpieces for which he is and will be forever revered. First came the Six Violin Sonatas and Partitas for Violin Solo and then the Six Suites for ’Cello Solo. In the ’Cello Suites we hear Bach expressing his own seeking, yearning, love, loss, sorrow, grief and determination and their overtones of surrender, resolution affirmation and transcendence. He aspired to articulate an ultimate personal confession, a revelation, entirely unique, entirely sublime, as an ultimate act of artistic and creative testimony, a heavenly statement about his own life and even of life itself—as a final gift and an enduring, heavenly send-off for his beloved wife. Bach, Casals and the Six Suites for ’Cello Solo invites readers and music lovers into a unique experience, contained in an immersive four-volume e-book from Steven Hancoff – a virtuoso musician’s restless, passionate, multimedia exploration of a musical masterpiece that only grows in stature almost three centuries after it was written. • How Bach struggled and overcame adversity and the lessons his example offer us today. • The ultimate meaning of the Six Suites for ’Cello. • How almost all of Bach’s works would have nearly sunk into oblivion were it not for the extraordinary efforts of Sara Levy, the great aunt of Felix Mendelssohn, to rescue them. • How Felix Mendelssohn singlehandedly created with the performance of the St. Matthew Passion a Bach renaissance and a legacy that continues to be enjoyed to the present day. • The miraculous discovery of the six ’Cello Suites by Pablo Casals in a Barcelona thrift shop and why he studied them for twelve years before performing them in public. • What Pablo Casals meant when he spoke of “the miracle of Bach.” Bach, Casals and the Six Suites for ’Cello Solo promises to be an adventure for anyone fascinated by the enduring power of music, art and why they matter. Steve Hancoff began playing guitar when he was 13 years old, captivated by the folk music craze of the 1960s. Within a year he was performing in coffeehouses around Baltimore and Washington, D.C.
For nearly 15 years, he toured the world—about 50 countries—as an official Artistic Ambassador representing the United States of America. His recordings include Steel String Guitar, New Orleans Guitar Solos, Duke Ellington for Solo Guitar, and The Single Petal of A Rose. He is also the author of Acoustic Masters: Duke Ellington for Fingerstyle Guitar and New Orleans Jazz for Fingerstyle Guitar. He is a graduate of St. John’s College, home of the “100 Great Books of the Western World” program and has a Masters degree in clinical social work. He is a psychotherapist, a Rolfer, and a practitioner of Tai Chi. An avid hiker, he is also a member of the Grand Canyon River Guides Associations. Enter to Win the Book Tour Giveaway! Eight years! Eight years ago, I started the process of transcribing Bach’s masterpiece Six Suites for Cello Solo for my acoustic guitar. My only intention was to transcribe and then record them. But the more I worked, the more I felt a need to learn about the man, and especially the circumstances of his life, when he composed the Cello Suites. And the more I discovered, the more questions and ideas arose …until I began to realize that this was not simply a music project, but this was transforming itself into a life’s work. Fulfilling that mission became my purpose. And now, the project is done and released. And I want to tell you how much I appreciate your helping to make this work known to the world. I have come to feel that the saga I have discovered and articulated in the iBooks is the pre-eminent and most grand and by far the most profoundly serendipitous legend of Western culture. I intend to be touring the country with a multimedia presentation of it, telling the story with slideshow and video – pictures galore -- over the next years. The presentation will be entertaining and enlightening.